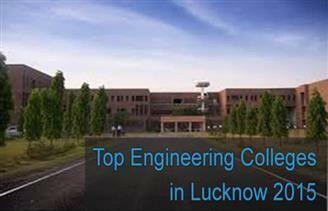 Singheducation academy has given list of top engineering colleges in Lucknow.The list of colleges includes some of the best engineering institution like College of Engineering Lucknow. Singheducation has listed top engineering colleges based on several parameters as discussed below. Admission procedure: The admission in the engineering colleges of lucknow is based on the JEE Main score. Lucknow is the largest city of the state of Uttar Pradesh,India a major metropolitan city of India, Lucknow is the administrative headquarters of the eponymous District and Division and the capital of the state of Uttar Pradesh.It is the third largest city in north, east and central India after Delhi and Kolkata and the second largest city in north and central India after New Delhi. It is also the largest city in Uttar Pradesh.Lucknow has always been known as a multicultural city that flourished as a North Indian cultural and artistic hub and the seat of power of Nawabs in the 18th and 19th centuries.